I absolutely loved the manga and so I'm very glad they finally released the anime! This is such a precious show T.T <3 The 2 brothers bond is just so sweet and there is also character development for all of the characters. The manga is super far ahead so feel free to check that out while waiting for more episodes. i-its AMAZING DX i love it so much so much. While reading the manga I was surprised to find out it didn't have an anime considering the amount of chapters it had. So, of course, as soon as I found out it had gotten an anime (the day the first episode aired...) I watched it right away. The anime manages to retain the art from the manga really well and so far it seems to be following the storyline spot-on. Now that I've seen that the anime has great art, animation and I already know it has a great plot, I can't imagine this going downhill after the first episode. If you like laid-back, cute and with a hint of drama stories there's no reason not to like this. I read this manga in 2010 after it first came out. I was still in elementary school when I first found it, and I have had the privilege to keep up with the series even now. This is a beautiful and fun story that will make you laugh, and will give you a warm fuzzy feeling. Definitely worth the watch. 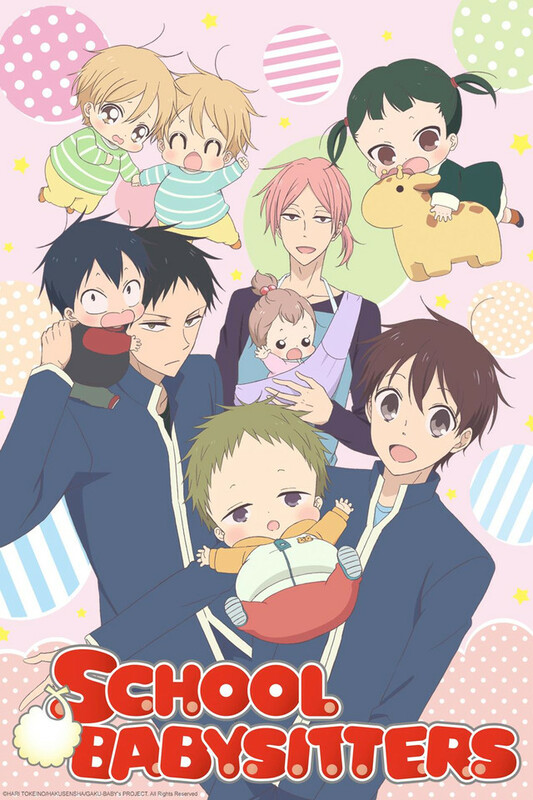 Literally the cutest story I have ever read, and I'm not one for cutesy anime, but this has genuine toddlers and babies just being cute and curious and weird and shy and happy and sad and I love it. It tackles growing-up experiences for all ages in a fun and heartfelt way. It'll make you laugh, go "awwww~" and make you cry, guaranteed. If you love children and love slice-of-life anime then this is definitely a must watch. This is such a wonderful anime, I stumbled upon it out of luck and Im so glad I did. Even if you find the style of drawing children a bit strange, the overall show's comedy and sweet moments make up for it. I was so excited for this week's update, waiting is agony. I look forward to the future plot and development of the character's relationships with each other.